A Parable in the truest sense, this story teaches children the meaning of Jesus' words, "Whoever wants to be great among you must be your servant." 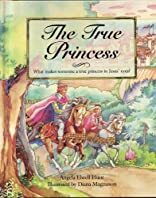 The concept of royalty pervades the Bible, and this book offers an opportunity for parents and teachers to teach children about being royalty in God's family. Full-color illustrations.